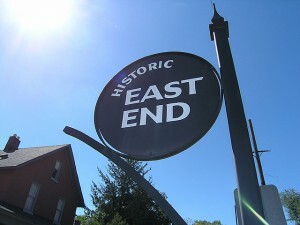 North of Shelby Ave, sandwiched between Historic Edgefield and Lockeland Springs is one of East Nashville’s oldest and more historic neighborhoods, the East End. Like it’s two closest neighbors, the East End has undergone a dramatic transformation in the past few years as its neglected homes were renovated in style, bringing back their historic charm and understated elegance. These days homebuyers are looking to get as close to Five Points as possible – and it doesn’t get much closer than this! Sitting at the Southern edge of Five Points, the East End guarantees you a five minute walk to that lazy weekend brunch or art gallery you’ve been eyeing. Not to mention, Shelby Park is under a mile away, and downtown is just a short bike ride or five-minute car ride. If you can’t imagine a house without wings in its gables or eyebrow dormers, one of these Victorian cottages or craftsman bungalows is sure to please – but at a cost. Renovated homes here are some of the priciest in East Nashville and inventory is low overall. North of Shelby Ave, sandwiched between Historic Edgefield and Lockeland Springs is one of East Nashville’s oldest and more historic neighborhoods, the East End. Like it’s two closest neighbors, the East End has undergone a dramatic transformation in the past few years as its neglected homes were renovated in style, bringing back their historic charm and understated elegance. These days homebuyers are looking to get as close to Five Points as possible – and it doesn’t get much closer than this! Sitting at the Southern edge of Five Points, the East End guarantees you a five minute walk to that lazy weekend brunch or art gallery you’ve been eyeing. Not to mention, Shelby Park is under a mile away, and downtown is just a short bike ride or five-minute car ride. If you can’t imagine a house without wings in its gables or eyebrow dormers, one of these Victorian cottages or craftsman bungalows is sure to please – but at a cost. Renovated homes here are some of the priciest in East Nashville and inventory is low overall.